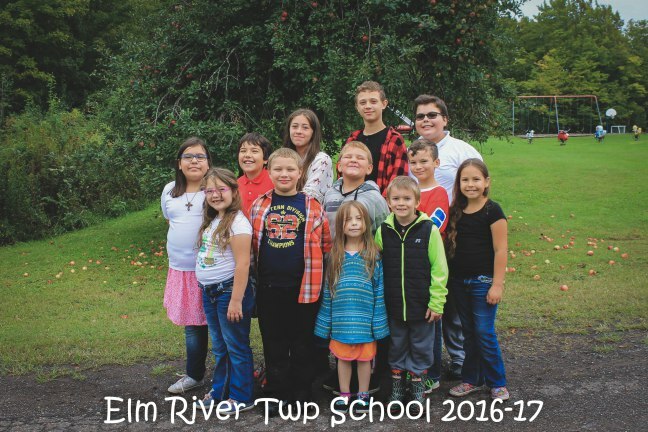 The Elm River School prides itself as a K-8 school in a caring community with small town values and character. Our vision is to create a school that is highly regarded for its academic excellence, and for its contribution in actively serving and improving the community in which it operates. This district provides an atmosphere for a genuinely unique learning experience for younger elementary students. Our viewpoint is that through cooperative learning, students maximize each other’s learning. All individuals who enter these open doors of this small rural school will be encouraged with what they see. The components of a multi-graded classroom learning style with small group interaction and one on one instruction result in positive student achievement. We believe this experience works. As a community related school district, we are striving to challenge each student, school employee and citizen to rise to the fullest of their potential. In recognizing that our students are, indeed, our future, we are providing a stimulating environment which includes, but is not limited to academic, emotional and social growth in order to develop responsible, caring citizens.